The Psychoanalysis of Overcoming Suffering: Flourishing Despite Pain offers a guide to understanding and working with a range of everyday causes of suffering from a psychoanalytic perspective. The book delineates some of the underappreciated, everyday facets of the troubling and challenging psychological experiences associated with love, work, faith, mental anguish, old age, and psychotherapeutic caregiving. Examining both the suffering of the patient and therapist, Paul Marcus provides pragmatic insights for changing one’s way of being to make suffering sufferable. 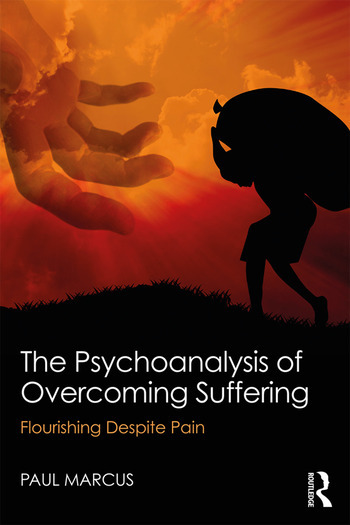 Written in a rich but accessible style, one that draws from ancient wisdom and spirituality, The Psychoanalysis of Overcoming Suffering provides an essential guide for psychoanalysts and psychotherapists and their clients, and will also appeal to anyone who is interested in understanding how we suffer, why we suffer and what we can do about it. Paul Marcus is a training and supervisory analyst at the National Psychological Association for Psychoanalysis in New York City and the author/editor of nineteen books.